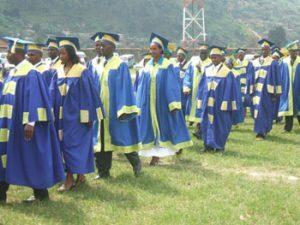 RUBAVU — The Kigali Independent University [ULK] Gisenyi campus will tomorrow hold its second graduation ceremony, the vice rector announced this week. At least 340 students will be awarded bachelors degrees in various disciplines at Umuganda stadium in Gisenyi town. Jean Paul Nkurunziza told reporters that preparations were in high gear to make the function a success. 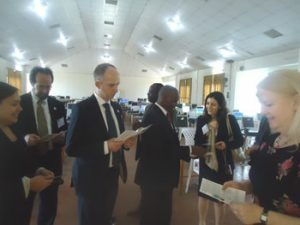 “We are working hand in hand with the local leaders, police and other security personnel to make sure the function in which we have invited many officials be successful,” he said. The faculties to produce graduands include Law, Social science and the faculty of economical sciences and management. He urged residents to turn-up for the function which he said would help them learn a lot from the speeches given by the invited guests. The vice Rector called upon continuing students to attend the function, saying it will act as an inspiration for them. “The fundamental mission of ULK is to provide students with a training which may enable them become actors in the development of our nation. That is why we need to do everything possible to provide quality education to produce people capable of competing in the world labour market. Other students should emulate their seniors and work harder to accomplish their courses,” he said. 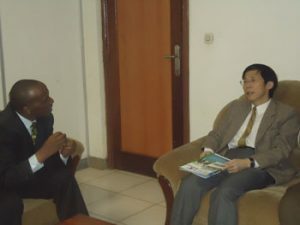 He said ULK-Gisenyi campus has in the past tried to improve on its academic standards; which has helped their products excel in most organisations they work in the country. “We strive to provide high quality education which is suitable to the country’s needs through different courses, with special emphasis on professional knowledge, and how to conduct oneself in society. We therefore, hope our students will be able to compete on the job market with other graduates from various institutions,” he added. 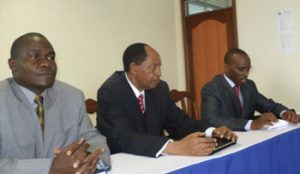 Earlier, the Rector Dr. Alphonse Ngagi had said that the institution has set two points as the minimum entry marks so as to admit only capable students. 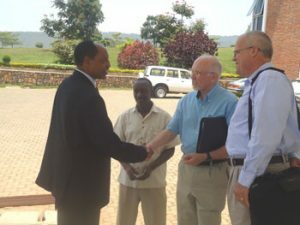 The university was created on 15 March, 1996, by the Rwandan Association for promotion of Education and Culture (ARPECC). 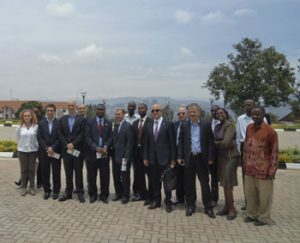 In the project of extending its services to upcountry, the Gisenyi campus was opened on November, 5, 2001. According to Nkurunzinza, the campus serves over 50 secondary schools in both the north and western provinces of the country. It held its first graduation in February last year, where 323 students were rolled out.